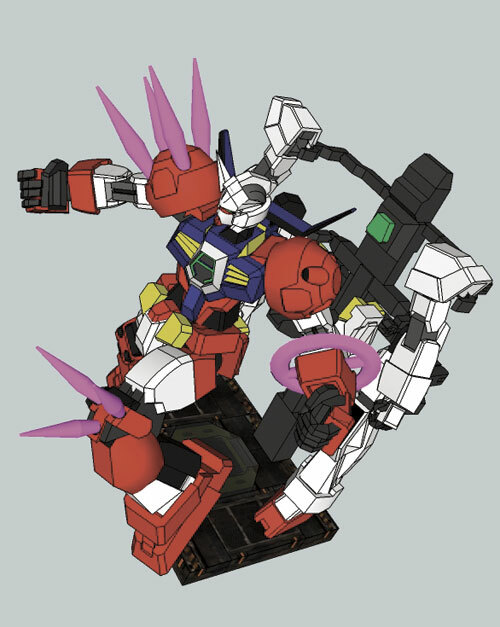 New addition for Gundam AGE paper model, Wanda has made a Fitting Base for his AGE Gundam series. Fitting Base is a display stage complete with suspenders to hold Gundam AGE and all its accessories. 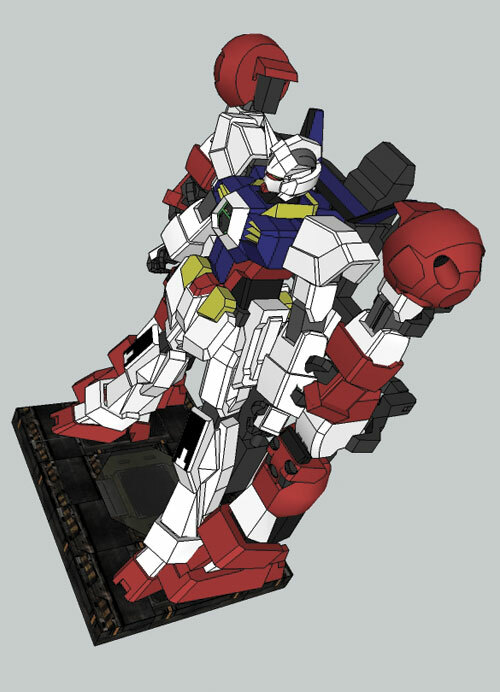 This model is in the same scale as the AGE Gundam, you don't to worry about resize it. 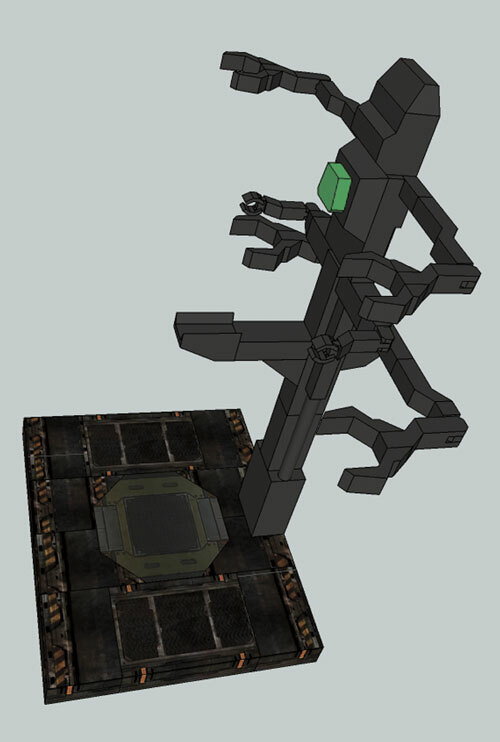 The file is in RAR file which contains a PDF template with 15 pages and an assembly instructions in PDO file.